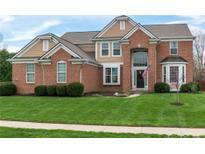 Below you can view all the homes for sale in the Links At Gray Eagle subdivision located in Fishers Indiana. Listings in Links At Gray Eagle are updated daily from data we receive from the Indianapolis multiple listing service. To learn more about any of these homes or to receive custom notifications when a new property is listed for sale in Links At Gray Eagle, give us a call at 317 979 0009. Great time to enjoy summer fun on the patio in the fenced back yard. Home Warranty included. MLS#21635472. United Real Estate Indpls. Great location close to I69, schools, dining and shopping! New carpet & new roof! MLS#21623266. CENTURY 21 Scheetz. 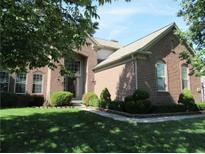 Property is conveniently located near Hamilton Town Center and downtown Fishers with all it has to offer. Welcome Home! MLS#21615482. Keller Williams Indy Metro NE. Large multi-level deck outside perfect for entertaining. MLS#21598260. Murphy Real Estate Group, Inc..